All Wishon homes currently listed for sale in Wishon as of 04/19/2019 are shown below. You can change the search criteria at any time by pressing the 'Change Search' button below. If you have any questions or you would like more information about any Wishon homes for sale or other Wishon real estate, please contact us and one of our knowledgeable Wishon REALTORS® would be pleased to assist you. 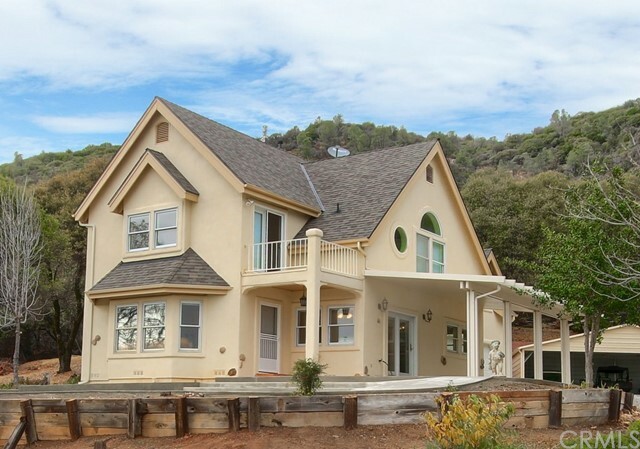 "Be above it all at an elevation of 3480 ft., secluded 40+/- acres with incredible Sierra Nevada mountain views. Located in Wishon an annex of Bass Lake where recreation includes swimming, boating & fishing, hiking trails & more; a 4-season mountain community with great schools. Seasonal creeks, graded roads & manicured brushed areas expose the beauty of this property. Partially fenced with electric gate at your driveway offering security. This property is ready for horses including stalls with electric & water, corral & riding trails; ride & explore the 2000 acres of National Forest that lays adjacent to this property. The custom Tudor style home is built to last with 2124 sq. ft. it offers 3 bedrooms, 2.5 baths with an oversized attached 2 car garage & RV parking. The home has been freshly painted inside & out, a new roof, an open floor plan features views from every window. The kitchen offers tile counters & built-in appliances. Master suite & 2 bedrooms upstairs with real hardwood floors. Other new upgrades include, cooktop, custom window coverings, 5 covered parking stalls with concrete floors & electric/water, extensive concrete work around the home with a new aluminum patio cover, water conditioning system, water heater, 16 garage door, toilets with upgraded plumbing. Private well with new equipment approx. 3 years ago. Property is very usable & can be subdivided." "Lake views and a boat slip! Move in while you work on improvements and upgrades. 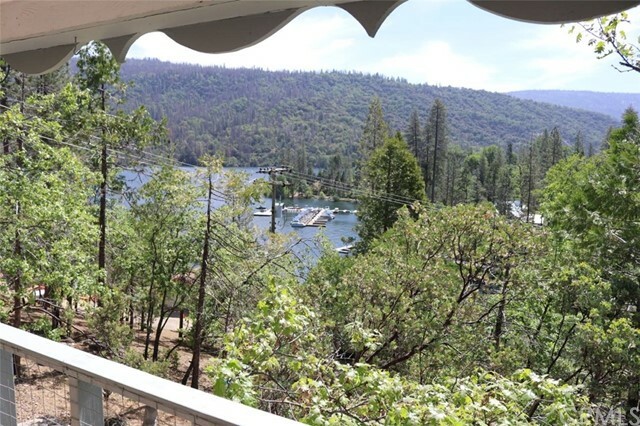 A great location on the South end of Bass Lake. Lake views, mountain views and a very short boat ride or walking distance to Millers Landing. Great location with endless potential for a second home or income property. You will be pleasantly surprise on the space and additional enclosed area. Homes do not go for sale in this area very often. Sold as-is. Seller will review all offers." 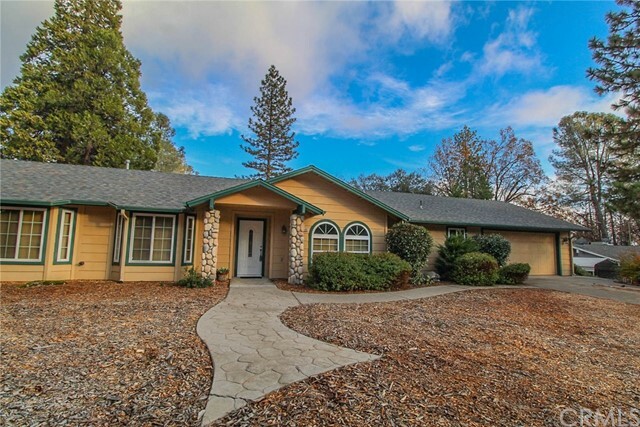 "Looking to be close to Bass Lake without the high prices? This 4 Bedroom Bricker home is located appr. one mile from the lake. Home features lovely mature landscaping, very private back yard with concrete patio and lots of mature trees. Home features 4 bedrooms, one which is used as office, 4 total walk in closets, separate living area, family room has pellet stove, blt in speaker system, open kitchen, whole house fan. Oversized garage finished with extra attic storage. Extra parking area for RV. Call today to view this beauty."